Welcome back to our comprehensive guide on How To Be A Master Chef for beginners and food enthusiasts! In today’s posts, we’ll go over how to properly roast meat, poultry and veggies in order to create amazing, delicious meals from scratch. If you’ve ever wanted to be a master chef, the time is now, so let’s get started! Before roasting comes braising, so learn how to properly braise & stew your meats & vegetables with this guide on Braising & Stewing For Beginners! Learn how to roast poultry, meat and veggies with this guide for beginners! Roasting will leave your home smelling great! Your oven transforms your meats into a fragrance that will make your mouth water! The best part about roasting is how easy it is! Also, no standing over a hot stove! This is the perfect cooking style if you plan on having guests! It’s easy to roast, but you have to follow the techniques to do it properly. Seasoning is always important. Knowing how to sear your meat prior to roasting also helps in the process. 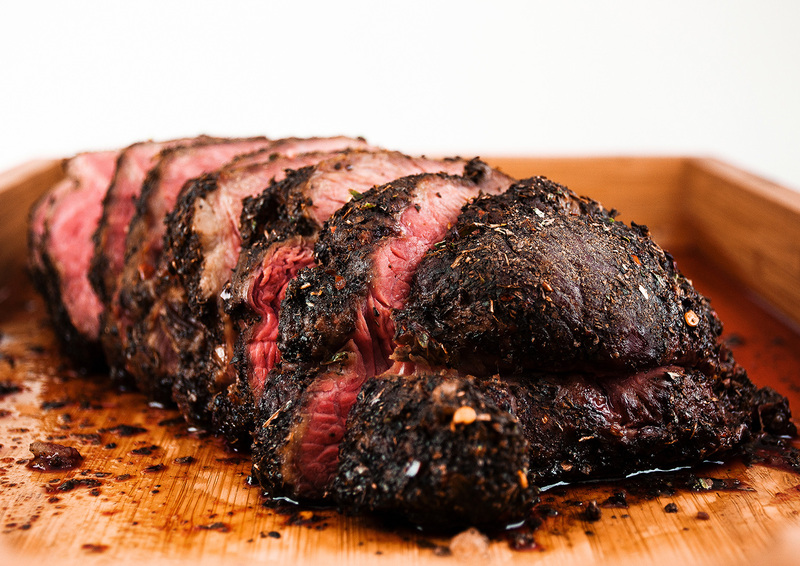 Basting can be the difference between dry and moist meats. Resting your meats is equally important. We will go over all of this throughout this section! Season your foods prior to roasting. Meat, poultry, fish, and vegetables need black pepper, salt, spices, and herbs to make it roast in a way that enhances the flavor. One rule is to never over-season your meal. You also want to make sure you do not under-season it. Both of these are easy mistakes to make, but they are also avoidable. Make sure all of your seasoning is balanced and no single seasoning over-powers the meal. Consider a teaspoon of salt for every two pounds of meat being roasted, but you may want to use less. Use brining to prepare your meat. Brining is when you soak lean meats in a brine made up of salt and water. This lessens the amount of water that is lost in the cooking process and adds to the flavor. You can also lessen the amount of shrinking that will result from roasting. Around 30 percent of the weight of your meat will be lost during the roasting process, meaning you need to retain all of the weight you can. Brining reduces this to about 15 percent. Tough muscle fibers are also broken down by the brining process, making the meat more tender. Sugar can also be added to the brine to add a bit of sweet to your meat. 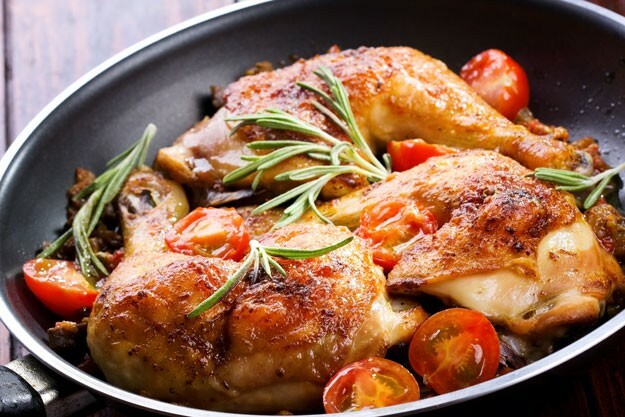 Heat up some oil in a hot pan and brown your meat or poultry on both sides to give it a nice texture. You can also increase the flavor of your seasonings this way. Contrary to popular belief, this does not seal in juices, but rather creates a delectable crust. This is not a requirement, but rather a boost in the color, flavor, and seasonings. Basting is called for in a lot of recipes. Through this process, you will be taking pan juices and putting it on the food while it roasts. This adds flavor to the surface of your dish and also moistens it. We recommend basting your meat every 15 minutes while roasting. Be careful not to touch anything hot! Remember, you will be basting in a hot oven! It’s easy to jump the gun and want to dig into that tantalizing meat, but don’t do it! Let the roast sit for 15 to 20 minutes to let the juices spread throughout the meat. This will result in juicier meat that will be worth the wait! We love meat and poultry, and we love roasting it even more! There is nothing more rewarding than creating a delectable meal through roasting. If you want your home to smell great in preparation for a fantastic meal, roasting meat and poultry is going to be your new favorite thing to do in the kitchen! Practice your roasting skills with this great sirloin tip roast recipe! Buy a 3- or 4-lb sirloin tip roast. Take some freshly chopped garlic, a bit of olive oil, black pepper, salt, and your choice of herbs. Put in your roasting pan and toss it in the oven at 325 degrees (make sure to preheat it). Cook it until the center of your roast reaches 140 degrees if you want it to be medium-rare or 145 degrees if you like your meat medium. Let it stand for 15 minutes prior to carving it up and enjoy! Roasting pork is very cheap to do. This meat is leaner and lighter and with the proper technique, it will be tender, moist, and enticingly delicious. Add your seasonings and spices and toss it in the oven! Cooking pork is easy to do, but don’t forget to check the temperature of the meat prior to eating it. Make sure to cook your pork to 145 degrees in order to make sure that it is safe to eat and super juicy! Rib roasting requires a long time to cook. Sometimes, you will find your recipes asking you to parboil the ribs prior to roasts, allowing the time to be cut. We have figured out that by doing this, you will lose a lot of the flavor found in the meat. We recommend roasting your ribs at 300 degrees for around 2 hours. This should leave your ribs moist, delicious, and tender! Use a dry rub or barbecue sauce to add flavor to these delectable cuts. Roast your lamb until the inside is 145 degrees if you are a fan of your lamb being cooked medium. Make sure to let it sit for 15 minutes because it will continue cooking during this time. There will be parts of the meat that are more cooked than others, providing levels of done-ness that will satisfy everyone in attendance. When roasting a chicken, you’ll need to pay attention. You’ll have a whole chicken on your hands, meaning if you bought it from the store, you would have a paper packet containing the innards of the bird. Save that! You can make gravy with those parts! Also, don’t rinse the bird off! This can make the risk for salmonella even higher! Don’t touch anything with chicken covered hands! You will contaminate areas in your kitchen, and this can result in salmonella bacteria spreading. Make sure to constantly wash your hands. You’re going to want to tie the bird with some string to keep it from moving while roasting. Make sure to use an oven that has been preheated to 425-degrees. This will ensure that the skin will be crispy and golden-brown, but it will also make sure the bird gets cooked thoroughly. Use a knife to cut into the thick part of the thigh. Once the juices are clear, the bird is done. If the juices are pink, give the meat another 15 minutes and retest it to see if it is done. Don’t forget the most important part of your meal: veggies! 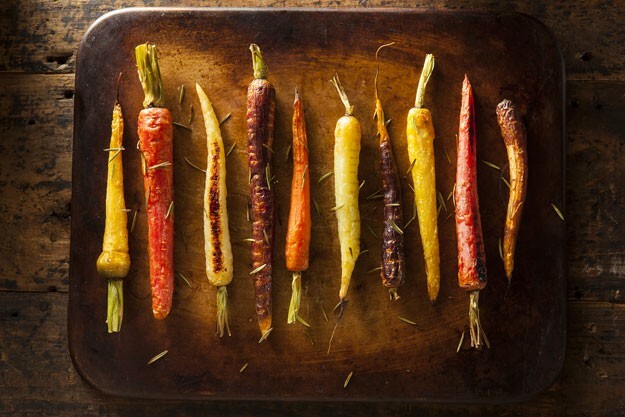 Roasting vegetables is a delicious way to prepare them. The natural sugars found in them are brought out during the roasting process, adding some sweetness that cannot be matched cooking them any other way. We recommend chunking the vegetables, tossing them in olive oil, and adding a bit of salt and black pepper for the best results. Roast them at 375 degrees for around half an hour. Watch the vegetables and take them out when they are browning. If this takes longer than a half an hour, so be it. Wait until they are brown and delicious! This means that the sugars have caramelized, and this is definitely good if you’re looking for flavorful veggies. Leftover roasted veggies are great the next day! Toss them in your salad, omelet, or even in a tortilla! To crisp them over again, preheat your oven to 400 degrees and put them in for around 5 minutes. Don’t overdo it and you’ll have a great meal made with leftover veggies.